An efficient online sales funnel brings you more hot leads, increases sales conversion rates, and delivers you more paying customers with less work. But it’s important to create a custom process and strategy to systemize the sales funnel stages. This prevents you from investing time and energy into the wrong leads. We help you position your company the right way to attract the right business prospects, build relationships and trust, increase conversions, loyalty, and brand advocates. 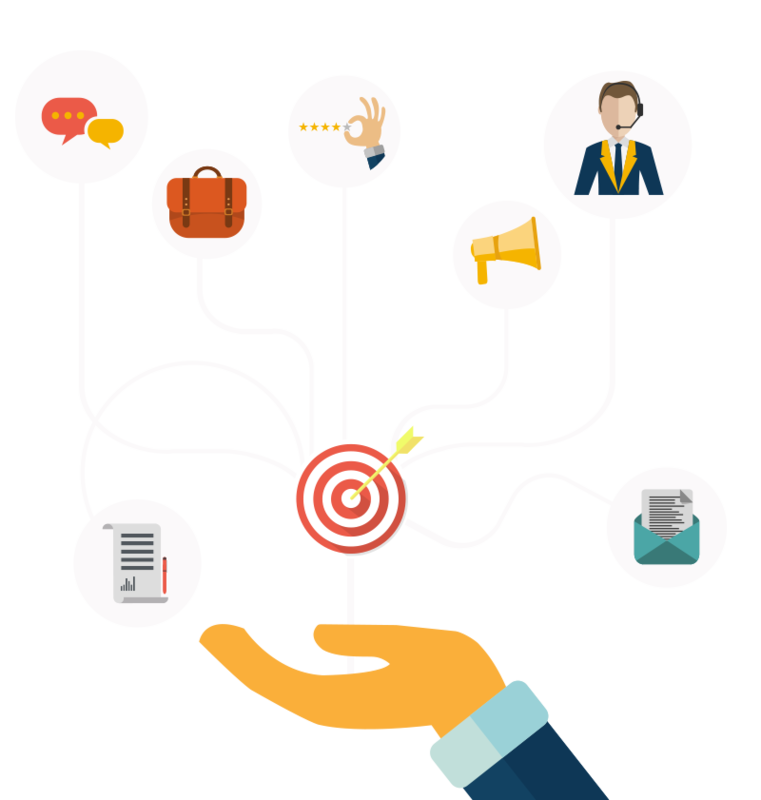 Your automated sales funnel should hand you your ideal leads that are familiar with your brand, and already interested in buying from you… all before you even have to lift a finger. See if You Qualify For a Free Initial Marketing Breakthrough Strategy Session! 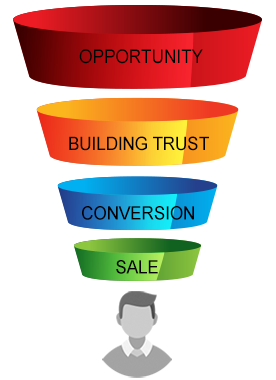 Why Do You Need a Professional Sales Funnel? Overall, with the right Sales & Marketing Funnel you can spend less time prospecting, and still get more leads, and convert more of those leads to buyers. This means greater revenue with less wasted time. Focus on what you do best. Our processes do the heavy lifting. Get more hot leads interested in your product. Don’t invest too much into the wrong leads. Gather info for many touchpoints & remarketing. Develop relationships with your prospects. Offer value & show leads why you’re special. Convert more leads into paying customers. Need a Free Marketing Funnel Growth Consultation? You know you have a great product or service, and what you have to offer is exactly what your ideal customer needs! And that’s a great start! But it’s important to note that your prospective customer needs a few things from you before they can become a buyer. They need to know you exist. They need to have a problem you can fix. They need to be able to afford your product. They need to trust you. They need a reason to choose you over someone else. They need to take action. These reasons are part of why it typically takes 7-21+ “touch points” to generate a lead & make a sale. Our custom sales conversion funnels are designed to highlight the reasons your prospect needs your product, why they need to buy it from you, and know what actions triggered the customer purchase through funnel conversion analytics. But, more than that, our specialized touch points help you build a relationship, establish trust, and help to scale your business. That connection will ultimately be the biggest reason your leads convert prospects into paying customers!